Bespoke Band London - Solo pianists, trios, DJs, 8 piece bands, 10 piece bands, or 14 piece show bands. Ideal for private parties, weddings, birthdays, corporate events, hotels, etc. Hard To Handle - 3pce Party Band Fully self contained. Ideal for private parties, weddings, birthdays, corporate events, hotels, etc. Phasma - 5 to 9 piece Soul / R&B Band. Fully self contained. Ideal for venues, festivals, weddings, parties, private & corporate events, etc. Audio Cover is a 5pce band with Male / Female Vocals. Ideal for Weddings, Private Parties, Corporate Events, Hotels, and many other types of events or venues. Fully Self contained and will play disco music between sets if required. 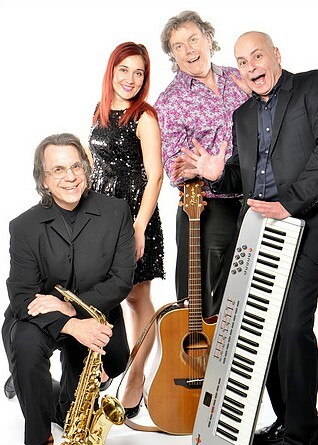 Sands of Time - 5 piece function / wedding / party band available for all occasions. Ideal for Weddings, Restaurants, Hotels, Lounges, Private Functions or Corporate Events. Little Big Band are top quality musicians playing Ballroom and Sequence Dancing all over the North East. These musicians can play a range of music types, from all Ballroom and Sequence, to all Party and Pops. Whatever they play for you, they're guaranteed to get your party going! SAMS Band - 4 piece Party / Function Band. Fully self contained. Ideal for private parties, weddings, birthdays, corporate events, hotels, etc .